Before I tell you my detailed schedule this weekend (come see me!!!) at the symposium at BYU, I want to throw out something very random. I really want to have dinner with Stephen King, my writing idol. I know there has to be someone who can make this happen for me. Please help. I'm just throwing this out there for now, but I'm actually contemplating and scheming on what I can do to push it along. I'm thinking a charity may need to be involved. Stay tuned. One of the shining moments of my life was when I had cupcakes and tea with Judy Blume. If you missed my embarrassing write-up on that, CLICK HERE (where there is also a picture to prove I'm not lying). As you can clearly see, this experience can only be topped by dinner with Abraham Lincoln or Stephen King. Anyway, here is my schedule. Don't miss my reading from The Death Cure on Friday morning!!! All events are in the Harman Building over by the Marriott Center. 3:00 pm Panel: Slush Piles and what not to do when submitting your writing. 4:00 pm Panel: Dystopias and Utopias. 6:00 pm Panel: Marketing - what can you do? 10:00 am READING: First 2 chapters of The Death Cure. 12:00 pm Panel: What is an agent and what can they do for you? 2:00 pm Panel: Character's morals/theology vs. the author's. 6:00 pm Panel: How not to talk down to your YA audience. 11:00 am MAIN ADDRESS: That's me, giving the main address. There will be a Top Ten list!!! 4:00 pm: Why write about worlds that don't actually exist? But, you'll have to be patient, I'm sorry. Patience is a virtue, ya know. Stay close, though. I don't want you to miss anything. There'll be lots to talk about. Soon. This is an Authorpalooza, with over 40 authors, none of whom I'll name because I'd certainly leave out a friend! I'm the Guest of Honor (hey, quit snickering! ), so I'll be on lots of panels and will be giving the keynote address on Saturday at 11:00 am. 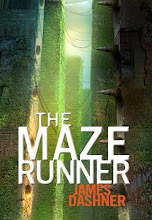 I'll also be doing a reading (first chapter or two from The Death Cure) at 10:00 am on Friday. For more details and a full schedule, CLICK HERE. I'm not sure yet of my schedule, but I DO know I'm going! Sorry, I don't know many details, but I'll be there. Those are the only events that are solid on the schedule, but other things will happen, especially as we get closer to the release of Book 3 this fall. Anyone else watch Downton Abbey on PBS? I am officially an old person, because I loved it. Blame my mother. I'm reading an incredible book. Matterhorn, by Karl Marlantes. I've always been interested in the Vietnam War, and this is about as authentic as you can get. Not for the faint of heart. If you want a funny, leave-your-brain-behind movie to watch, go see The Green Hornet. I was pleasantly surprised (but I wouldn't call it a kid's movie) and laughed a lot. If you'd rather be creeped out and see Anthony Hopkins channel Hannibal Lecter one last time, go see The Rite. And I can't say this enough: go see The King's Speech. One of the best movies ever. I'm not lying. Ever. Unless you're eight, and then you might be bored.